Few people would describe the act of taking medication as “pleasant” or “enjoyable”, but for the sake of our health, sometimes it has to be done. When diet and lifestyle changes do not suffice, medication is the next logical step, and with medication comes many warnings and the potential for additional ailments. But the risks that medications expose us to are further amplified when combined with other medication and foods. You may not be aware of them, but knowing about dangerous drug combinations can quite literally be the difference between life and death. This seems like the perfect combination: happiness and no pain. However, taking antidepressants and painkillers will give you anything but a wonderful experience. A class of antidepressants called SSRIs and nonsteroidal anti-inflammatory drugs (NSAIDs) like Advil can increase the risk of bleeding in the stomach and esophagus by up to 600% when consumed together, according to the Men’s Journal. SSRIs and painkillers called triptans can actually have the opposite effect of antidepressants when taken together. This is because the two medications combined interfere with the serotonin (happy hormone) levels in the brain. Furthermore, the National Library of Medicine discovered that this deadly mixture can cause agitation, high body temperature, a rapid heartbeat and a consequential increase in breathing. Anticoagulants are prescription medications prescribed to reduce the formation of blood clots in the arteries. Aspirin is an over-the-counter pain relief medication also known as an antiplatelet that is also a blood-thinner. They both serve a good purpose, but combined, the two medications can increase your chances of both internal and external bleeding. 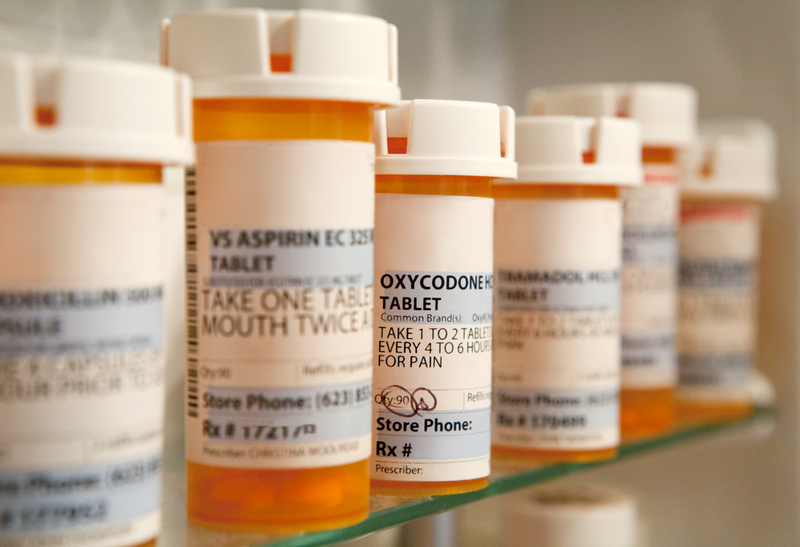 Opiod-derived painkillers include codeine, morphine, and brands such as Percocet and Vicodin. Unlike the previous medicine combinations mentioned, this combination consists of two medications that, on their own, act as depressants. Together, the drugs increase in toxicity and can fatally lower your breathing and heart rate. Surprisingly, CBS reported that one in three people take prescription painkillers and anti-anxiety or muscle relaxant prescriptions at the same time! Not enough people know the dangers in doing such a thing. A 2005 study from the University of Washington Medical Center in Seattle found that 38% of the participants developed acute liver failure from accidentally ingesting more than one kind of pill. 63% of those unfortunate people took both an acetaminophen and an opiod. Regular Tylenol is an acetaminophen. Tylenol-3 is an acetaminophen and codeine. Don’t ever take these drugs or any other with this combination together! Because these two medications are very similar, taking both puts you at risk for an overdose. The overdose results in an amplified sedative effect. This becomes problematic and dangerous because you won’t expect it to happen, and may consequently attempt to operate machinery drive or do other activities that are a dangerous when you’re in a drowsy state. Even taking this combination before bed can produce a groggy effect in the morning. Just avoid it entirely.